By Ramachandra Guha, The News Minute, Sunday, January 06, 2019. In the last week of January 1924—fully 95 years ago—two radicals in Kerala formed an ‘Anti-Untouchability Committee’. 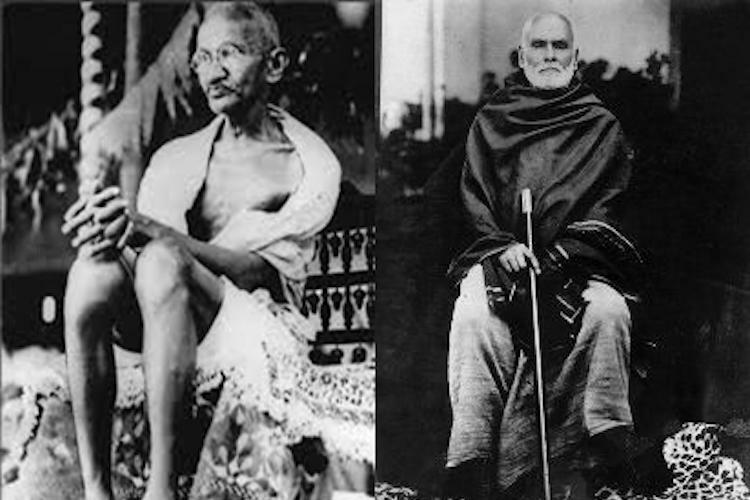 They were TK Madhavan, a journalist and a follower of the great Shri Narayana Guru; and KP Kesava Menon, a Congressman and a follower of Mahatma Gandhi. In the months and years to follow, this Committee and its members were in the vanguard of an epic struggle for social equality, that is worth recalling for its own intrinsic interest, and for the light it might shed on the ongoing controversy over the entry of women of a certain age into the Sabarimala shrine. Dalits and women are the two groups that Hindu society has historically discriminated against. Down the centuries, they were treated as less-than-equal in everyday social life, and as less-than-equal under the law as well. This essay relates to yet a third area of discrimination; that of religious custom and practice. In Sabarimala today, women are treated as less-than-equal in the eyes of god. Back in the 1920s, Dalits were also treated as less-than-equal in the eyes of god. The entry of women of a certain age in Sabarimala, now, and the entry of Dalits in Hindu shrines, then, was regarded as ‘polluting’. The struggle of Dalits in Kerala to achieve equal rights in the temples of the 1920s is therefore of compelling relevance to the struggles of women to achieve equal rights in the temples of today. The first target of the Anti-Untouchability Committee formed in 1924 was a famous Siva shrine in the town of Vaikom, where worship was restricted to upper-castes alone. Lower castes and Dalits were denied entry not merely to the temple, but also to its surroundings. In February 1924, the Committee held a public meeting in Vaikom, where it was decided that the rule barring the temple roads to low castes would be defied by a group of satyagrahis. March 30 was fixed as the date when this defiance would take place. On March 30, 1924, volunteers arrived in Vaikom from different parts of Travancore. Some came from Malabar, the Malayalam-speaking district of the Madras Presidency. The atmosphere in the satyagrahis’ camp was, one chronicler wrote, ‘charged with the austere serenity of Gandhian idealism and the burning odour of nationalist sentiment.’ Mahatma Gandhi had sent a message to the satyagrahis; after this was read out, three men—a Pulaya (a caste then considered not just ‘untouchable’, but also ‘unapproachable’), an Ezhava, and a Nair—were garlanded, before marching hand-in-hand towards the prohibited road. When they were stopped by the police, the satyagrahis refused to turn back, but squatted on the road. A further batch of three men from different castes then came forward to break the law. The six protesters were arrested and taken off to court—one apologised, but the others stayed firm, and were sentenced to six months in prison. A week later there was a fresh round of rule-breaking in Vaikom. This time both TK Madhavan and KP Kesava Menon courted arrest. More volunteers came forward to take their place. The authorities now changed their tactics, in part because the jails of Travancore were not large enough to house many more protesters. Now they had a large barricade erected across the road and placed a police guard next to it. Meanwhile, the roads to the temple remained barred to the lower castes. The satyagrahis now changed their tactics too, by sitting outside the barricade and refusing to eat or drink. This part of India is always hot and humid—and these men were unaccustomed to fasting anyway. Several fainted, and were rushed to hospital. Back in Vaikom, after the local leaders, Madhavan and Kesava Menon, had been arrested, reinforcements came in from the Tamil country. Among the new volunteers was EV Ramasamy (later known as ‘Periyar’), an activist with a deep antipathy to the caste system. Ramasamy threw himself into the struggle, being arrested twice. His commitment earned him the appellation Vaikom virar, the valiant hero of Vaikom. In the second week of February 1925, the matter went up to the Travancore Legislative Council. Its members voted by the narrowest of margins (22 to 21) against the entry of lower castes to the temple road. A satyagrahi from Vaikom now urged Gandhi to visit the town. If they did not have his sustenance and support, he said, the movement would wane, and perhaps die out altogether. In March, Gandhi decided to visit Vaikom. He reached there on the 11th of the month, having stopped in and spoken at Cochin (the state’s largest city) en route. In Vaikom he found the volunteers squatting in front of the barricades put up to guard the temple’s four entrances. Each batch was stationed for six hours, its members spinning or singing. Gandhi, meanwhile, also sought an audience with the high-caste Namboodiri Brahmins who were most bitterly opposed to granting the Ezhavas and Pulayas the right to walk on the roads outside the temple. The conversation between Gandhi and the Namboodiri orthodoxy in Vaikom was recorded for posterity by Mahadev Desai. When asked why they treated the low castes so harshly, the leader of the Namboodiris—named Indanturuttil—said placidly that the Ezhavas and Pulayas were merely ‘reaping the reward of their karma.’ It was for their (bad) behaviour in their past life that they had been relegated to the bottom of the pile in this one. The version told by the Guru’s biographers uses the same metaphor, but with a crucial twist. Here, Gandhi plucked two leaves from the tree, and, pointing to their different textures, sizes and shapes, said they illustrated the variety of humanity, and hence of their religious affiliations. In response, the Guru bit into the stem of one leaf, and then the other, and asked Gandhi to do the same. He would find that the juice of the two stems tasted exactly the same. In the same manner, men may appear to differ in size or skin colour or caste identity, but in essence they were the same. Hence Narayana Guru’s slogan, ‘One Caste, One God, One Humanity’. Within a species, is it not, that offspring truly bred? It took another decade for these rights to be recognised. In the second week of November 1936, the Travancore Darbar announced that all temples in the state were henceforth to be open to all Hindus, regardless of caste. This was the final fruit of the Vaikom satyagraha begun by the followers of Narayana Guru, and later supported by Gandhi. Gandhi made a public announcement congratulating the Travancore Darbar, for allowing the oppressed and excluded in Travancore to ‘feel the glow of freedom and real oneness’ with other Hindus. The discrimination against Dalits and women practiced by upper-caste patriarchs has been, as Gandhi put it, ‘the greatest blot on Hinduism.’ The Vaikom Satyagraha was in this regard a crucial milestone in the struggle of Dalits to achieve equality in the eyes of god. The Sabarimala struggle is centred on the right to equality in the eyes of god for women. Both movements have challenged what Gandhi called ‘sacerdotal prejudice’, whereby orthodox and closed-minded priests denied morality and justice in the name of custom and tradition. Back in the 1920s, the state and public institutions—the Travancore Durbar and the local courts, in this case—were on the side of the inequality and oppression sanctioned by sacerdotal prejudice. Now, the Kerala government and the Supreme Court have both weighed in strongly on the side of equality and justice. Sadly, however, powerful elements in politics and society in Kerala today support the irrational, manifestly unConstitutional restrictions sought to be imposed by the temple authorities in Sabarimala on women devotees. That the BJP led by Amit Shah would seek to polarise and divide Kerala on this issue should not surprise us. That they should encourage violence and intimidation by young men seeking to maintain patriarchal hierarchies is entirely in character. The BJP will do anything to garner votes and win elections. Far more surprising, and altogether more distressing, is the reaction of the Congress party, which claims to be heir to the legacy and mantle of Mahatma Gandhi. Let me remind them that, at the same year as the Vaikom struggle was gathering momentum, 1924-5, Gandhi convinced his party colleagues that their next president must be a female. Thus, in 1925, Sarojini Naidu was chosen president of the Indian National Congress, this at a time when no major (or possibly even minor) political party in the west had women in leadership positions. A few years later, the Motilal Nehru Report emphatically stated that in free India, ‘Men and women shall have equal rights as citizens’, this at a time when in many western countries, women did not even have the right to vote. The Congress has evidently regressed a great deal since those days. Those great heroes of Vaikom, TK Madhavan and KP Kesava Menon, would have been absolutely appalled by the argument of Congress MPs that because ‘popular sentiment’ is allegedly against the entry of women of a certain age into Sabarimala, thinking citizens should capitulate in the face of reaction. Back in the 1920s, perhaps well over 90% of upper-caste Hindus were against the entry of Dalits into the Siva shrine in Vaikom. That did not deter the reformers, who struggled on for their cause. Now, even though (as the Women’s Wall across Kerala on January 1 showed) popular opinion is more evenly divided, the Congress party chooses to take fright in the face of the mob, and side with the bigots. This, tragically, is but one sign of how far the Congress has fallen in recent times. The once brave party of the freedom struggle is now represented by self-seeking cowards.